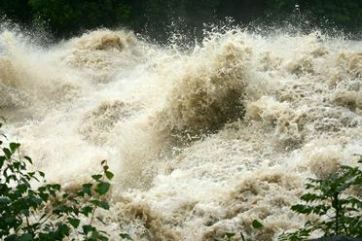 More than two thirds of the damages caused by natural hazards are caused by flood processes. The analysis of the roots of flood damages is an important objective of the Mobiliar Lab. The project “M-AARE – model chain-atmosphere-runoff-risk-decisions in the Aare catchment” strives after answering questions like: Is there a relationship between the amount of precipitation, the runoff of a catchment and the number and the extent of damages? Which regions are disproportionately hit by floods? Or: Is it possible to derive from weather forecasts, which areas will be flooded during the next days?